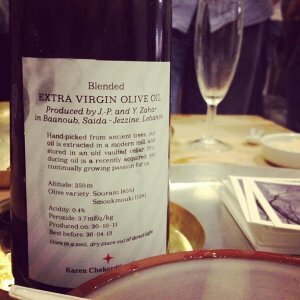 On friday, a gourmet friend and I headed for Karen Chekerdjian‘s boutique for an olive oil tasting. 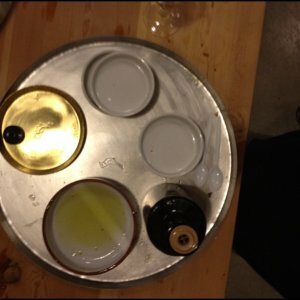 Other than being uber-excited about the tasting itself, I was really curious about the boutique. It looked like a pretty cool space. 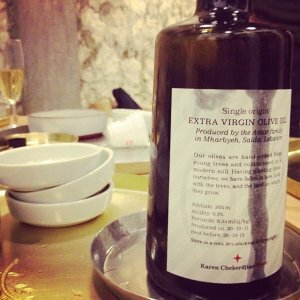 Hand-picked from ancient trees, our oil is extracted in a modern mill and stored in an old vaulted cellar. Producing oil is a recently acquired yet continually growing passion for us. 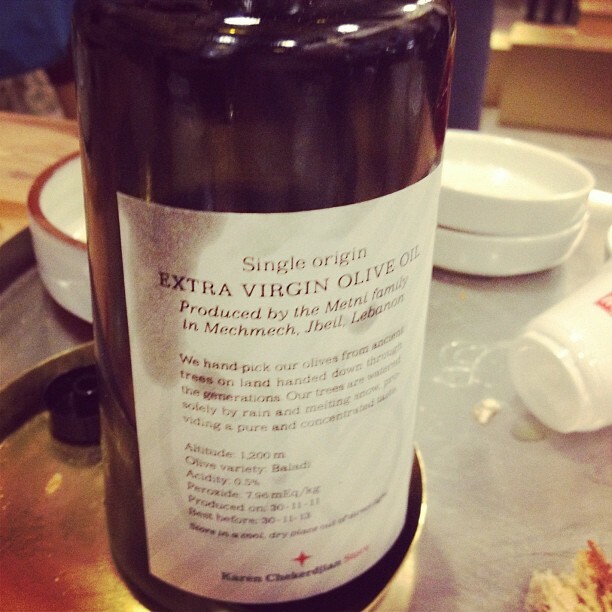 Our olives are hand-picked from young trees and cold pressed in a modern mill. Having planted them ourselves, we have fallen in love, both with the trees, and the land on which they grow. The olives are collected by shaking the centuries-old trees and pressed using a traditional stone disk, just as our family has for generations. 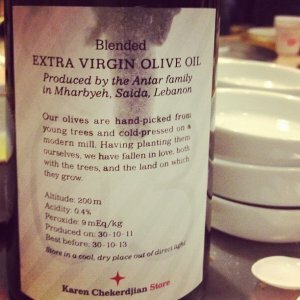 We hand-pick our olives from ancient trees on land handed down through the generations. Our trees are watered solely by rain and melting snow, providing a pure and concentrated taste. Grown in our sustainable family grove, the olives are hand-picked and pressed in a modern mill. 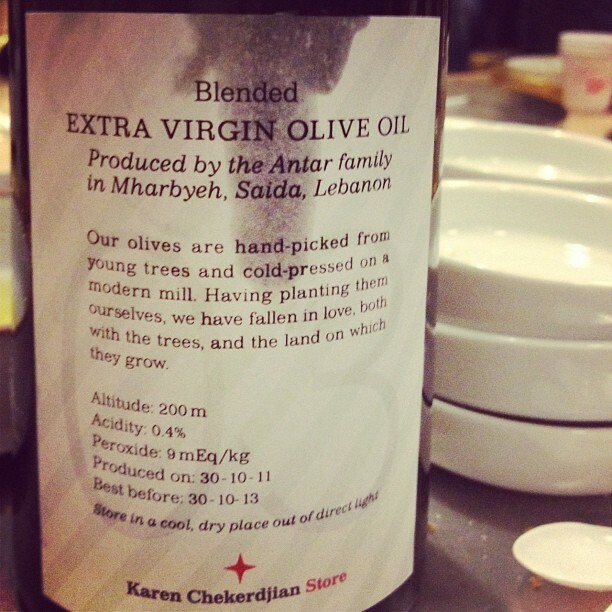 Previously our oil was only given to close friends and family. 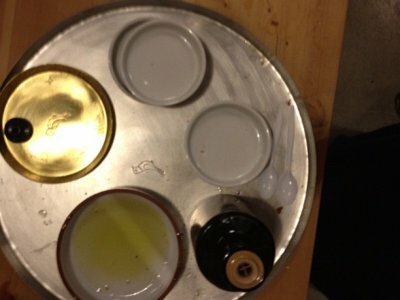 This one was my favorite by far, it reminded me of some spanish oils that I’ve tasted. 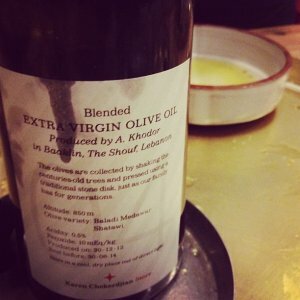 Very strong, long lasting, slightly acidic taste that makes you want to have oil for diner. 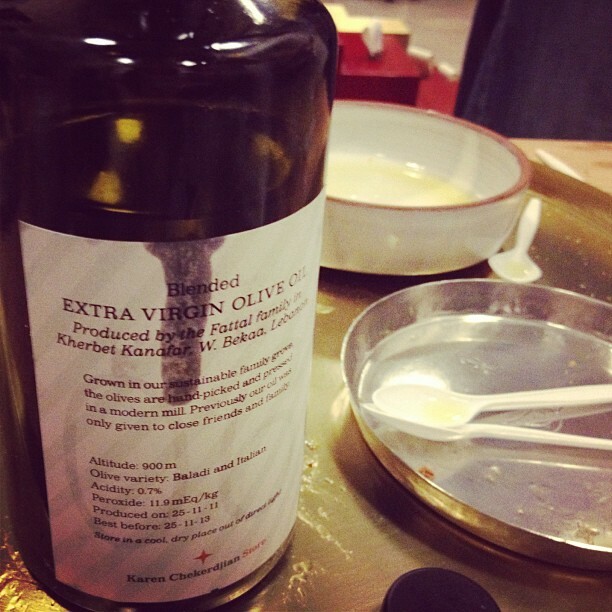 Similarly to the number 02 this oil is yummy all on its own. 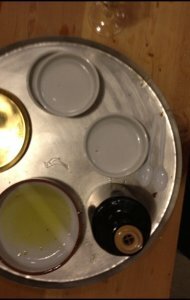 What really caught my attention was the bitterness of the olives that came through. This one gets a special mention for being fruity and light – much more salad material. All bottles (500 ml) are sold for $22.00 at the Karen Chekerdjian boutique.